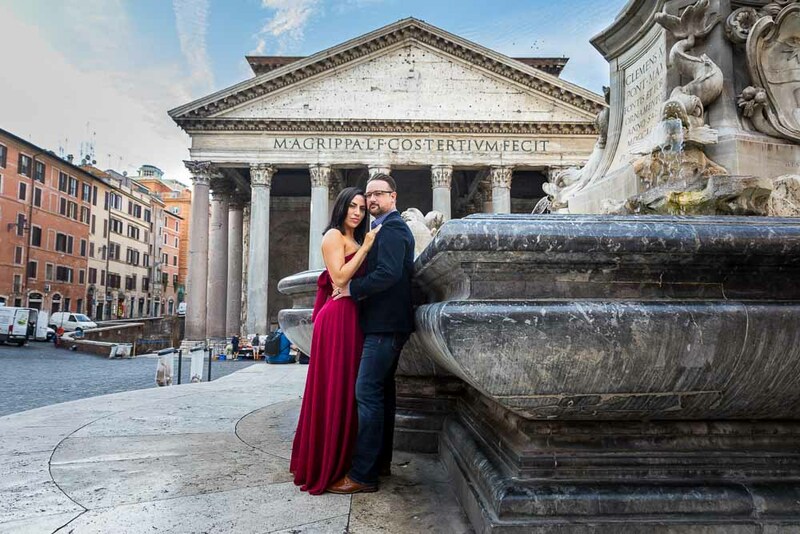 This was just a fantastic walking photo session in Rome’s most scenic locations. Starting at the Roman Pantheon in the early morning. Trying to dodge crowds and movie productions! So we approached the photo shoot from a different angle. Trying to catch the essence of this beautiful square by carefully choosing our backgrounds. Where we were able to shoot underneath the large marble columns and under the ancient portico. 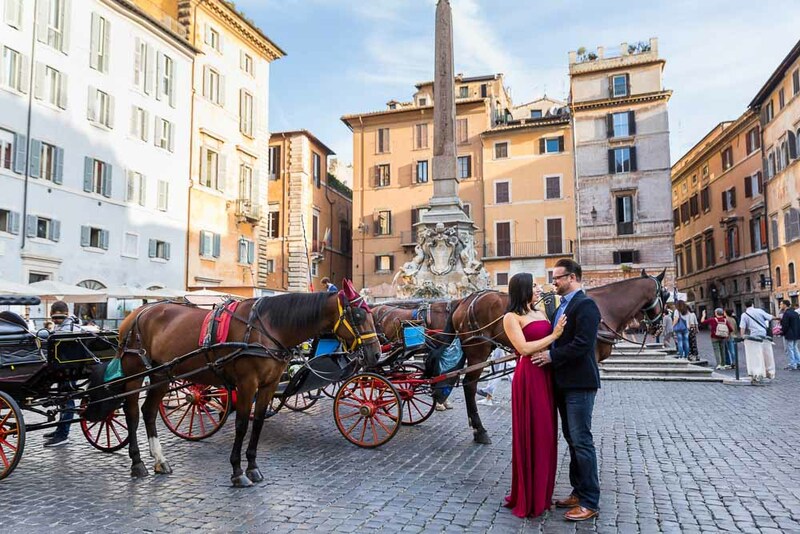 We included the typical horse carriages found in Piazza della Rotunda in our picture frames. Including some really nice portraits by the central obelisk water fountain looking into the the Pantheon’s facade. 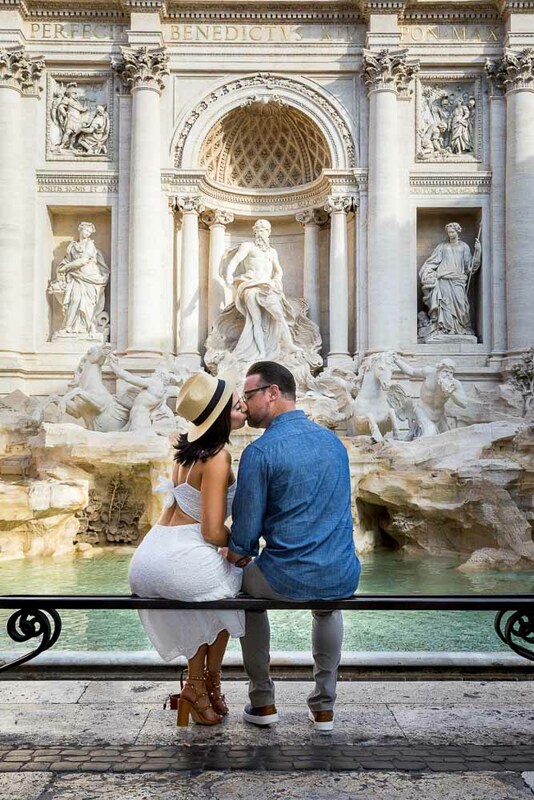 Then while moving over to the Trevi fountain. 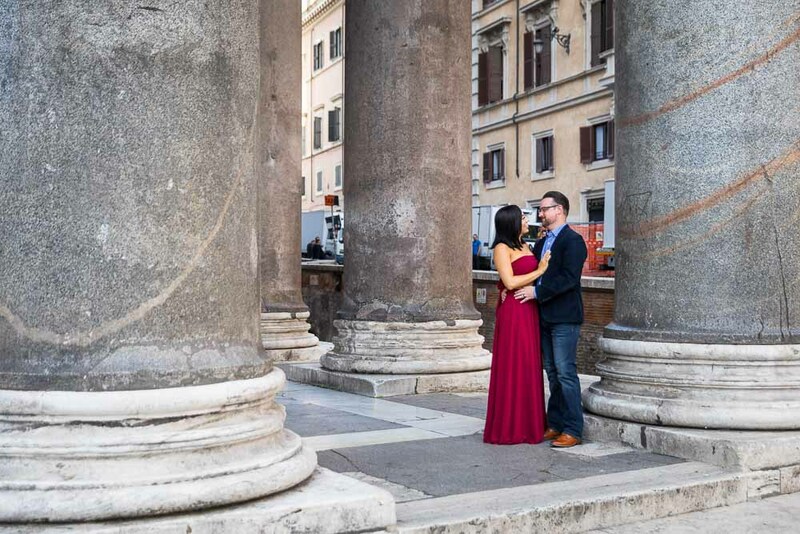 We stopped in Piazza Montecitorio by one of my favorite column portico location to shoot some cool couple portraits. With the line prospective made by the columns and arches. 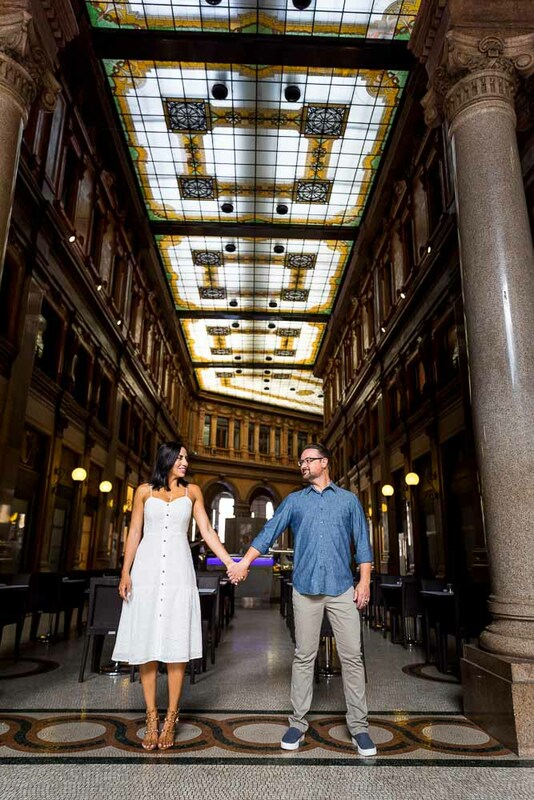 Then making our way through Galleria Alberto Sordi to include the beautiful mosaic ceiling and lead away lights in our photos. With beautiful contrasting soft natural light shining through the main doorway. 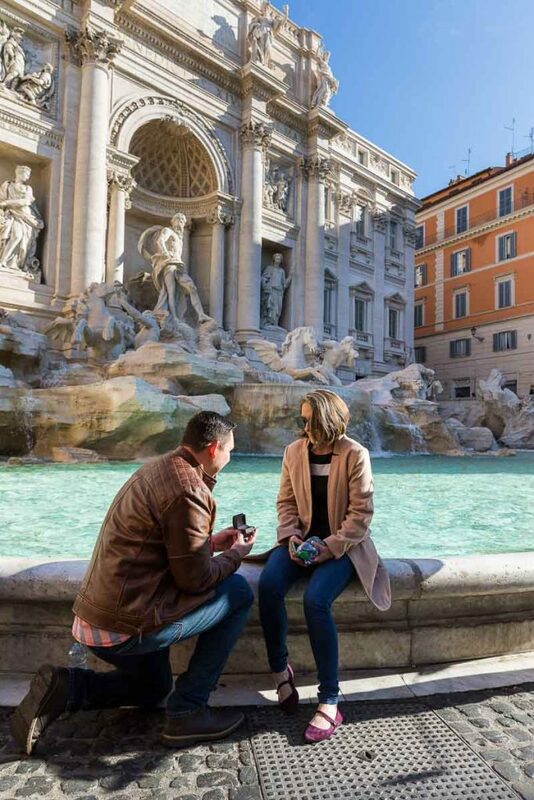 When we reached the Trevi fountain, the fountain was closed off to allow the collection of coins which are everyday thrown in the water. This obstacle soon became an advantage! allowing us to shoot with virtually no people in front of us. 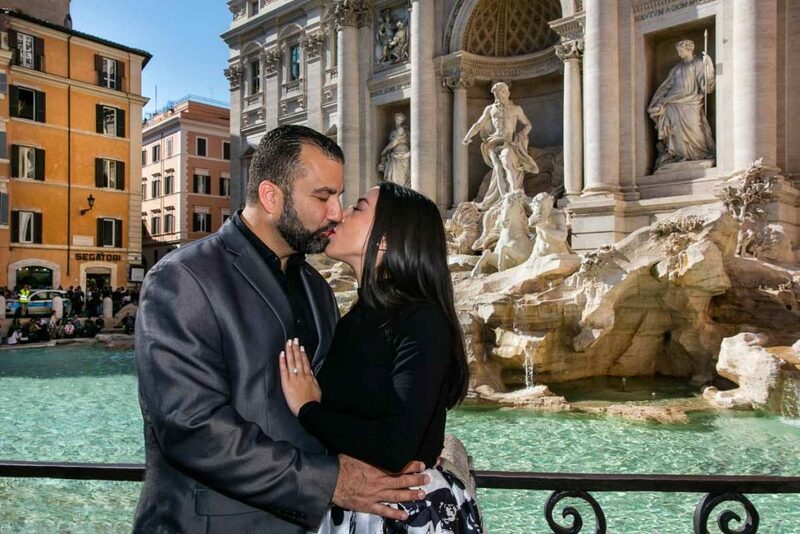 So we were able to snap some really unique couple travel photography pictures. At completion we took a car service with driver and were off to the Roman Colosseum to continue the photo shoot. 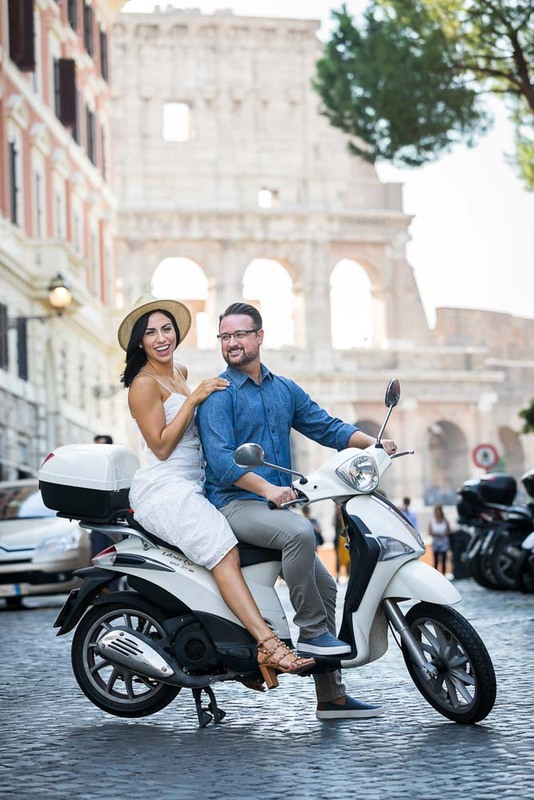 Which included a white Piaggio Scooter that we included the photo session. With a truly one of kind background! After snapping away some images with the scooter. We also took some more dynamic walking pictures in this characteristic alleyway. Ending the photo session with some final portrait shots in some nearby alleyway. 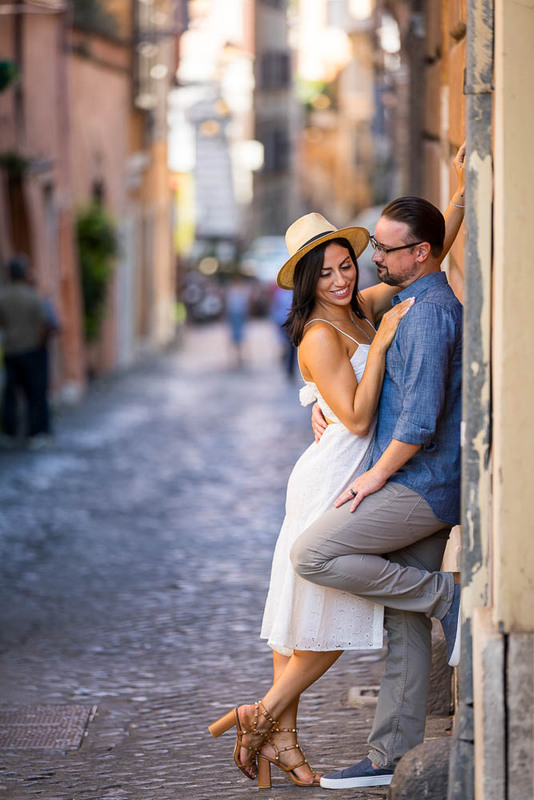 Couple on a beautiful and romantic photography session through the streets of Rome.Including on foot and by car some of the most scenic locations.